These factors together have helped create the broad “environmental availability” of prescription medications in general and opioid analgesics in particular. Of these, partial agonists, like suboxone, are showing the most promise. If you are interested in pursuing medically-assisted treatment using suboxone, contact SuboxoneDrugRehabs.com at 877-631-0460 and speak with someone who can connect you with resources. Suboxone has been shown to help recovering addicts abstain from opiate use. In 2002, the FDA approved the use of suboxone for the treatment of opioid addiction in the United States. Suboxone is a combination of buprenorphine— partial opioid agonist—and naloxone—a medication that blocks the effects of opioid medication, such as pain relief or feelings of euphoria that can lead to opioid abuse. What Is a Partial Opioid Agonist? A partial opioid agonist—like buprenorphine—is an opioid that emits less of an effect than a full opioid when it connects to an opioid receptor in your brain. For comparison, oxycodone, hydrocodone, morphine, heroin and methadone are all full opioid agonists. They activate the receptors with a full effect. Buprenorphine makes the brain think it is experiencing a full opioid like oxycodone or heroin, and this subdues withdrawal symptoms and cravings associated with the use of that problem opioid. Suboxone gives the user a mildly enjoyable feeling, but most report that they just feel “ordinary” or “more energetic” when using it. They may also have enough activity on their opioid receptors to experience slight pain relief, as well. They will not feel “high” when using it properly. Thankfully, for users, suboxone is a long-acting form of medicated-assisted treatment (MAT), meaning that it remains on the brain’s opiate receptors for roughly 24 hours. Plus, when it is occupying the receptor, the full opioid agonists can’t access them. Every time a dose of suboxone is taken the user has a 24 period without opioid cravings. Should an individual use a full agonist within 24 hours of taking suboxone, the person will shortly realize that the full agonist doesn’t work; they won’t be able to get high or experience pain relief. During the 24-hour period, the patient has time to reexamine relapsing with a problem opioid while undertaking MAT. The “ceiling effect” is an added suboxone bonus. Even when a user tries to increase their suboxone dosage to get high, they will not be able to. Taking extra suboxone doesn’t get you high, unlike methadone—a full agonist. The ceiling effect is also a benefit in situations where buprenorphine is taken in an overdose. Patients experience less inhibition of breathing than they would if they overdosed with a full agonist. As you can see, suboxone offers many benefits to its users and can be a vital component in MAT. 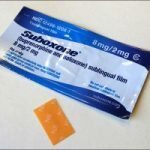 The National Institutes of Health reports, “People addicted to prescription painkillers reduce their opioid abuse when given sustained treatment with the medication buprenorphine plus naloxone (Suboxone), according to research.” If you are looking for a treatment program that includes suboxone, contact SuboxoneDrugRehabs.com at 877-631-0460 to be connected with resources. Is Suboxone Treatment Safe for Lortab Withdrawal? 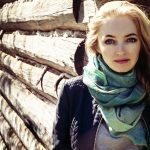 How Do I Know My Husband is Abusing His Suboxone Medication?